5 Tips to Increases sales and create growth from the experts! Whether you are a start-up or an established business, sales, strategy, and marketing are essential to your growth. In order to increase sales and create that growth, the key way to get and hold attention is to focus on the audience and provide your prospective customers with valuable information. Ask yourself: “How does your company benefit your customers?” In an ever changing market, your prospective customers don’t necessarily want to know what you’re selling or hear a sales pitch; what they want is their problems solved. If you can solve their problems and provide benefits to help them reach their goals, that’s essentially what you want your prospective customers to know about your company. Let us help and give you a few tips on how to increase your sales and create growth. Feedback is essential for success. Listen to that feedback and implement changes essential for growth. It’s important for businesses to respond and adapt to change in order to stay ahead of the competition. When speaking with your prospective customer, keep an open ear…leads will be more impressed if you spend 70% of the conversation listening and 30% talking. If you are not changing and going through the cycle of research, it’s time to make a change and grow your business. You want more sales? Traffic? Growth? Take advantage of your brand, reputation, and identity. Add value to your brand by being authentic. Differentiate yourself from the rest with a USP (unique selling point)…then advertise it on all of your content. This should be consistent to your core values, skills, and history. Once you have your brand content in check, implement it by taking advantage of promotional displays. Go the extra step and customize your brochure holders, sign holders, table tents, and other display stands with custom silk screen printing…adding your logo or slogan raises your brand awareness! Be creative with your design. Make it eye-catching so you will stand out from the rest. Put the spotlight on your company with a great brochure and follow it with a sleek, customized brochure holder, sign holder, or display stand. This will allow you to communicate with your customers directly and generate leads. Not all prospective customers will be ready to purchase your product, but by offering them a connection with your company through social media, you are essentially nurturing them. By continuing to follow your company through social media, you can feed them the latest updates and helpful tips until they eventually become ready to purchase your products and services. So don’t forget to maximize the power of social media. These days, there’s no better way to show your promotional displays and get your company’s message across. Want to Instantly Raise Your Brand Awareness? The Secret is Silk Screen Printing! Let’s start by talking about what silk screening is. Silk screening has become the most commonly used technique for printing logos and graphics on plastics and glass. The screen printing process involves forcing ink through a silk screen that has been photographically treated. Screens are an integral piece of equipment, but with today’s technology, photosensitive materials are now used to create a crisp image. The process is used in both one color and multicolor prints. Silk screen printing on promotional displays offers a variety of benefits, which we discuss below. Why should you choose silk screen printing? Effectively represent your business brand with silk screen printing, raise your brand awareness, and create a more attractive professional appearance. Using every opportunity to display your logo makes you more visually profitable! You can add your slogan, and depending on the promotional products, encourage your customers to take a brochure by s imply adding print screening on the brochure holder itself. The possibilities are endless with the use of silk print screening, and you can add practically any slogan or branding material on any of our sign holders, pamphlet holders, table signs, and other promotional displays. Maximize and discover these benefits and put them to the test! Take a test drive and watch how your traffic increases, draw your perspective customers with our promotional displays, and encourage them to purchase your products and services. Keep Calm and Increase Sales by Using PPM! We are here to help you grow, and ultimately we don’t shine if you don’t shine. Promotional displays are crucial in any type of business. Whether you’re non-profit or for-profit, using promotional displays are an effective way to communicate your message to your target audience, prospective customers, and donors. Advertising is an essential part of your marketing and sales strategy…but don’t get overwhelmed by all the information out there on what to do and how to do it. 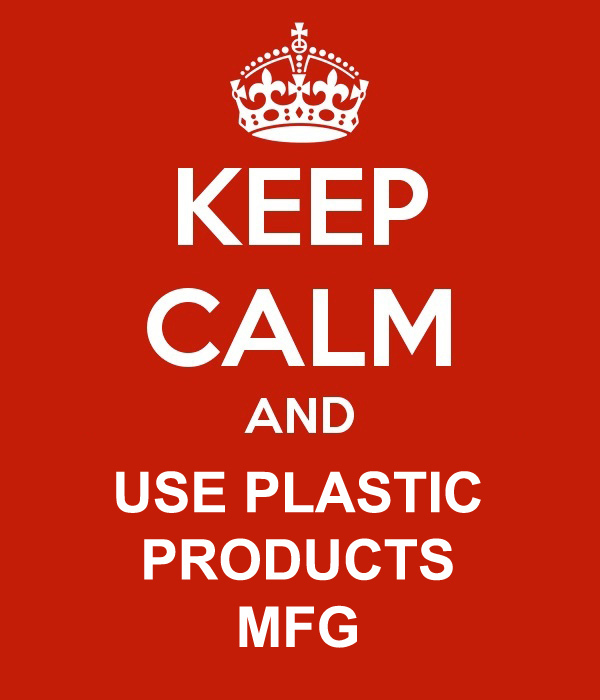 Just keep calm and use Plastic Products Mfg! Here are a few tips you will want to determine when deciding how to effectively create sales leads with the use of promotional displays. Keep Calm and Use Plastic Products Mfg. What do your customers and prospects think of your company? How can you deliver you message in the most effective way possible? How can your customers benefit by choosing you instead of your competition? Once you have answered these questions, you can put together a cohesive advertising plan and more effective brochure content. It is important that you effectively connect with prospective customers in clear, concise fashion. Make sure your content gets right to the point. PPM display products are meant to instantly help create a spotlight for your business and be a direct point of communication with your promotions and what you hope to communicate to your customer. Choosing the right displays can be confusing when you have so many options available. Of course, your needs depend on where you want to gear your purchasing decision. Plastic Products Mfg offers a variety of POP Displays but there are some that are top sellers among for-profit and non-profit outfits. Plus, we can help you increase brand awareness with customized logo and design placement with our custom silk screen printing…giving any of these display products a more personalized and professional look! Sign Holder with Brochure Holder – this style allows you to showcase your company as well as the added bonus of a display insert with informative “grab and go” brochures… all in one promotional display. 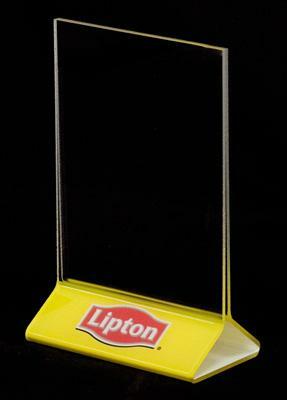 Brochure Holder – another great promotional display that delivers versatility for featured items. Brochure Holders are sized to fit anywhere and also come in a variety of different styles…Rigid, Vinyl, and Tri-Fold flat. Sign Holder – is one of the most cost efficient ways to promote your company. It’s ideal for picture flyers and is easy to place thanks to its sleek design. It’s easy on the eye and can be used in any type of business and with any type of content. The possibilities are endless! These are the top 3 selling promotional displays, but we also offer table tents, chart holders, and much more to suit your individual applications. Just click the link and browse with pleasure. Every company has a budget and PPM has a number of opportunities to help you build a strong brand within budget constraints. Your mission is to distribute the core mission along with specific brand visions and benefits in the most cost efficient way possible. The good news is that using promotional displays is not only the most affordable way to advertise, they also pay for themselves with the amount of traffic they create. Let your operation be visually profitable with the use of promotional displays we carry…an extensive array with the best prices available compared to our competitors and an endless list of benefits. The secret is in the content and the right display, and if you choose PPM, you will discover that you made the right choice. Now let us prove it and call us for a free sample. We love to help your business grow! Are Brochure Holders and Sign Holders profitable? Before I answer your question, ask yourself this: “Do you want your sales to grow?” Statistics show an increase in sales when informative content is shown with the use of promotional displays. In fact, according to a survey from PPAI.org, 83% of American consumers surveyed respond positively to promotional displays and the messages they advertise. And 69% said they would pick up a promotional brochure if they found it to be useful. So the answer is YES…promoting with brochure holders, sign holders, poster holders, stand displays and table signs are profitable. The first thing you want to think about is maximizing promotional displays more effectively with eye catching graphics, images and design. The best marketing should not emphasize the features of a product as much as the benefits. Using informative, eye-appealing content will be the most effective way to attract qualified buyers and create leads. Well-designed informative brochures instantly draw traffic and turn your leads into customers. A helpful and creative brochure will create the traffic your company needs, helping spotlight your latest promotions and raise awareness. Studies have shown that Brochure Holders are the most Cost Effective Advertising Strategy! An effective brochure with helpful content allows you to communicate directly with a prospective customer. Focusing on content that includes four key benefits of your product or service and adding great graphics and quality images will surely be a head turner. Another important key factor is showcasing your USP (unique selling point) effectively to help differentiate you from your competitors, letting customers know why you are better and why they should choose your company over the competition. Some people prefer technical details of your products and services, but the majority will more likely be persuaded by the heading and information on what your company has to offer them…not the technology used in production or direct selling pitch. People want to know how you can help them solve their problems. Here are some questions to ask yourself when creating your brochures and promotional advertising. ”What purpose do they think your company serves them? What message do you want to deliver? 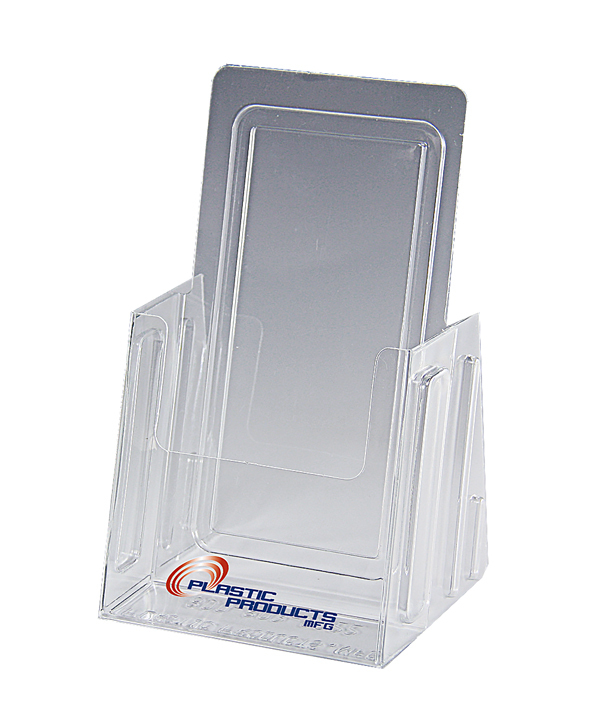 And what type of promotional displays are best to use…Brochure Holders? Sign Holders? Poster Holders? Picture Frames? These are crucial questions you need to know and understand as the answers will have a dramatic impact on your ROI. When your marketing isn’t working and your sales force has hit the wall, it’s time to rethink the way you attack sales and marketing. It’s time to get innovative and propel your company as a trendsetter to stay competitive. Top 10 questions you are afraid to ask about POP Displays? Are POP Displays really profitable? The answer is YES! Point-of-Purchase advertising is not only a huge trend, it’s also the preferred way to advertise special promotions, services, and products in more cost efficient ways than ever before. How customizable is a promotional display? It’s easy to have your logo, graphics, and text added to your displays, personalizing them for enhanced brand awareness and customer recognition. Whether your company’s name, logo, or tagline is a simple 1-color imprint or a flurry of colors, our expert printing will surely make your display look even more professional. Silk screening is very affordable and gives your business a professional look and competitive edge. How can I determine the quality of my POP Display product? Be aware that there are many different acrylic thicknesses on the market. Some companies don’t advertise the gauge and may provide you with a thinner material for a slightly lower price…and WITHOUT the value added benefit of quality silk screening for customization. How large of a sales increase can I expect from a POP Display? Sales have shown to increase by 65% when POP displays like sign holders, brochure holders, and poster holders are used. What are the benefits of sign holders? What is the right placement for my POP display? Businesses use our promotional items to strategically display information in cohesive fashion, creating visually dramatic appeal where foot traffic is heaviest. Using eye catching colors and information directs visitor attention to your in-store promotions, directly increasing sales. Put your countertop displays in position to grab the eye for best results. How versatile are these point-of purchase displays? 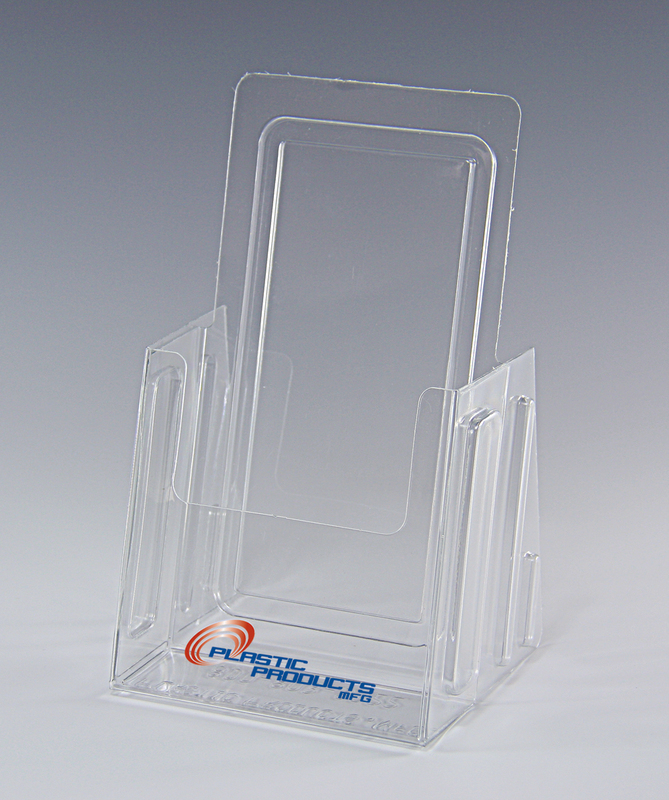 Table tents, sign holders, brochure holders, poster holders, name plate holders, and acrylic stands perform well for a multitude of applications and markets. Popular uses include but are not limited to tradeshows, fairs, offices, medical, hospitality, retail, restaurants, and real estate agencies to name just a few. Do we have in-house Sales Specialists? Our customer service team is in-house and fully knowledgeable. They can help you with any questions, concerns or even suggestions that meet your business’ needs. You can call and speak to a live sales specialist M-F from 7am – 3:30pm Pacific Time or email us and we will help you promptly. Most of our products are in stock and ready to ship! We offer next day shipping on most items. For customized orders, let us know your deadline and we will do our best to meet it. Depending on order specifics and quantity, customized orders typically take about 7-10 business days. We understand how important time is…after all, time is money. We promise the quickest turnaround time for any order and “on time” delivery. Where are our display products manufactured and why choose Plastic Products MFG? Compared to our competitors, we fully understand businesses have to work within budgets. PPM strives to save you money and our top quality products are all made in the USA. Our fabrication and production facilities in Chino and Anaheim, California handle custom imprinting and shipping services for every item we produce. No outsourcing here! Our customers are always top priority and you can count on us to treat you like family. Customer satisfaction is not just a cliché with us. Hope this helped answer your most important questions before making decisions about your purchase. Please let us know if you have any more! POP Displays the New Trend in customer experience! Make your business visually profitable! Positive customer experience is key toward earning repeat business and attracting new customers. Businesses today offer more than just high demand products and sales pitches about high quality and competitive pricing. In order to keep your customers engaged, you might want to rethink your strategy and the best ways you can satisfy that customer experience. The trending answer in plastic products is Point-of Purchase Displays (POP Displays) for visual merchandising and service needs. Customized “target” advertising delivers the most effective way to engage your customers, especially with the use of POP displays like Sign Holders with Brochure Holders, Acrylic Stands, Acrylic Sign Holders, and Brochure Holders that entice customers with eye-catching promotions. Studies have shown that visual marketing promotions help engage and attract customers at each stage of the purchase process. The use of POP displays gives customers all the information they need to make an informed decision on whether to purchase or continue purchasing your products and/or services. Customer relationship management is also being met through customized advertising. The use of POP displays attracts them to your products and services, driving them to impulse consideration all the way to finalizing the purchase. Plastic Products Mfg. 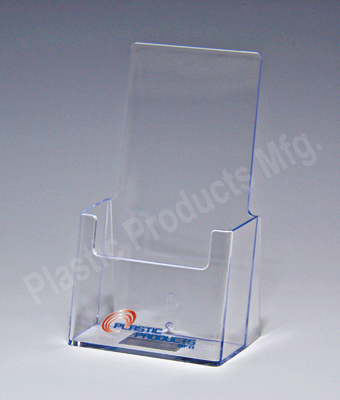 offers an extensive variety of high demand POP Displays and customizable top quality brochure holders, sign holders, table top holders, and dual sided name plate holders. All of these products come standard and are customizable with silk screen printing of logos, slogans, and graphics. Effective POP Displays are available in vinyl, acrylic, aluminum, and metal. It’s no wonder plastic promotional holders and POP displays make ideal tools when you’re trying to create a better customer experience.